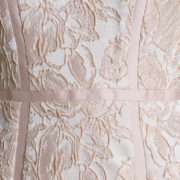 John Charles 26016 blush jacquard dress and cropped jacket. 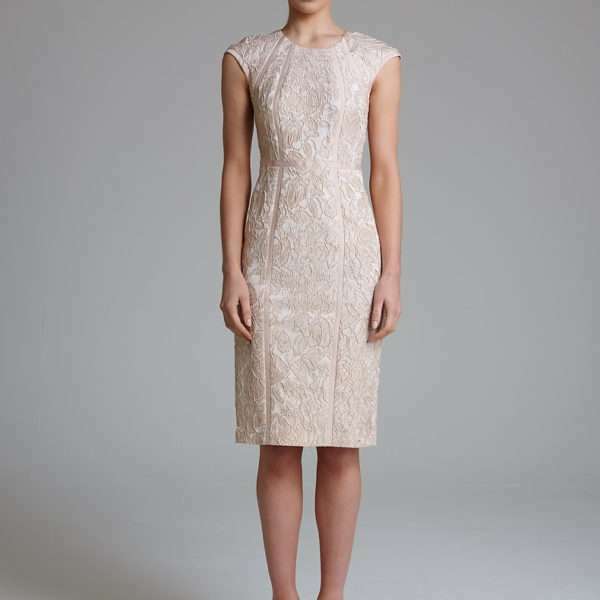 This elegant jacquard knee length design gifts you the John Charles signature slim silhouette. 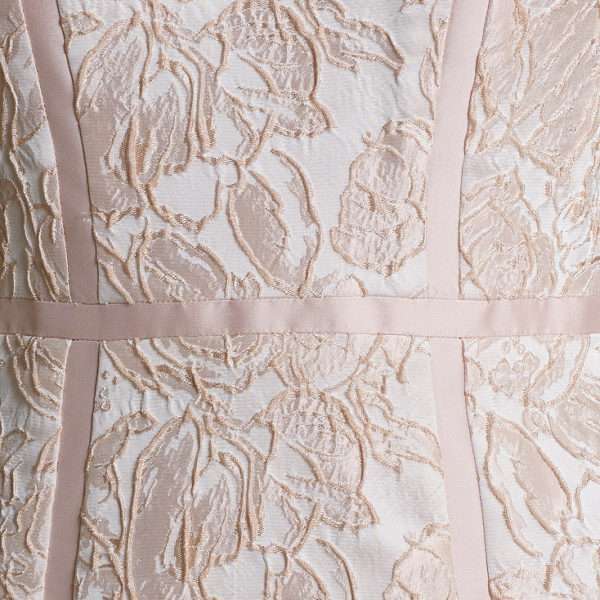 The stylish panels along the design are flattering and chic, enhancing the unique floral pattern. The dress has a keyhole detail at the back. To complete this outfit a sharp cropped jacket in matching fabric.